I’m not going to do any waffle or spiel about the e.l.f. brand this time, I’m just going to launch into my thoughts on these shadow/liner sticks that I have been trying out. As an easy to use make-up item, they are fab. Easy to carry around without risk of mess. The colours I tried are the black/smoke and brown/basic duos and both are a really nice combination of shades. 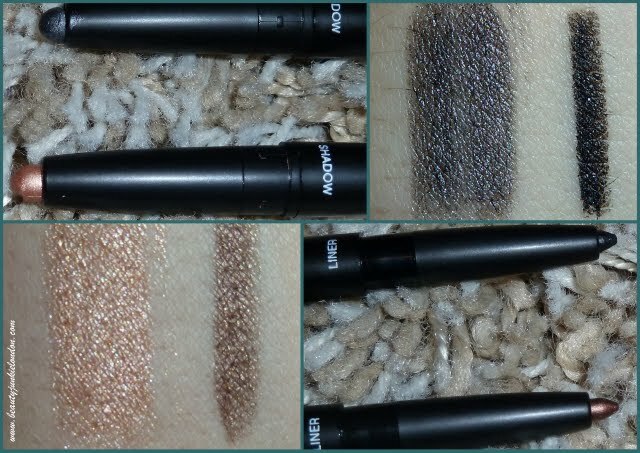 The pigmentation/colour pay off for both shadows and liners are impressive and they are both creamy without being an oil slick. Like with most eye products- they will no doubt last longer when used over a base but they do work well as a shadow in their own right. The fine end of the pen is really good on first use, but did get blunt quickly so after a couple of uses it wont be as good at creating a sharp line as it was. The fat end is the ideal size to do either an all over eye colour or just to add some definition that can be blended out. I also managed to smudge the end of the black one with the lid, but that was my fault for not winding it down enough! Really like these for a day-night touch up/handbag make-up essential – they cost just £3.50 each. Bargain-tastic. They look fab, and the price is good. Liners make wonderful shadows. Will definitely get one of those in black. 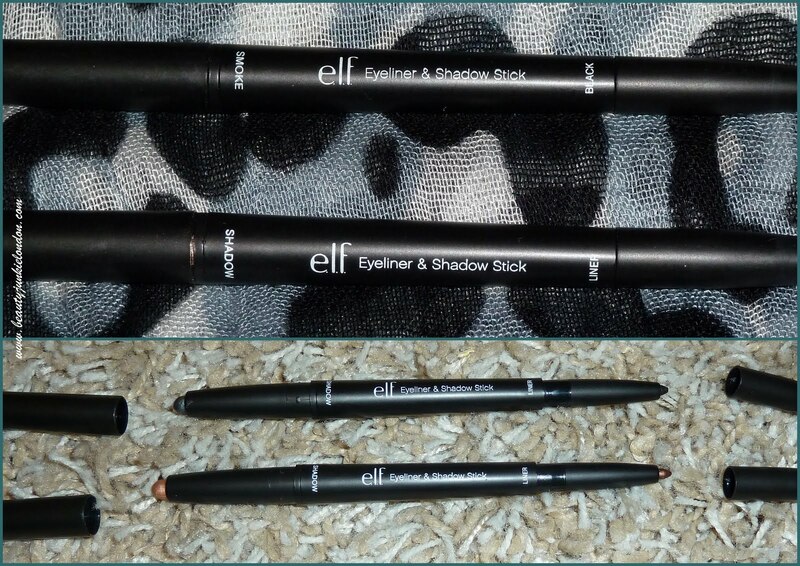 Love Elf’s lippies so am sure I’ll love this shadow/liner sick too. These eye liners look so good!